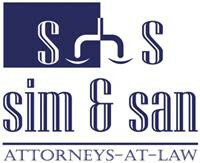 Founded in 1996 by Sangeeta Goel, Sim & San, Attorneys At Law is a full-service law firm with offices in India and Dubai. The firm was originally a boutique IP law firm, but for the last decade it has provided all legal services under one roof. Under the stewardship of Ms Goel the firm has grown manifold and become a quality name to associate with. The hallmarks of the firm include personalised services, efficiency in executing time-sensitive assignments, integrity, focus and client care. Advocates retained with the firm have experience of working on an array of legal issues across numerous practice areas. The firm understands the importance of working with clients’ internal management and business teams, to ensure that business objectives are met in the best possible manner. Trust, transparency and accountability are integral to all the firm’s business dealings. A proactive, energetic and practical approach ensures the clients achieve successful results. As international cross-border transactions increase in number and complexity, Sim & San is well placed to assist clients in finding innovative and commercially sound solutions for their business requirements. According to the firm’s clients, the ability of the firm’s attorneys to “think ahead” works in its favour. The attorneys at the firm are known to act in the best interests of the clients and work on lowering unnecessary or avoidable legal costs through forward thinking. Some of the firm’s practice areas includes IP rights, dispute resolution and arbitration, corporate and commercial and transaction advisory, regulatory and compliance, competition laws, public laws, investigations and enforcement, private equity and investments, and banking. Some of the key industry sectors the firm advises on are telecommunications and broadcasting, media and entertainment, energy, aerospace and defence, railways, large-scale infrastructure, fast-moving consumer goods, pharmaceuticals and healthcare, hospitality, real estate and fashion and luxury. The firm regularly participates in respected annual conferences such as INTA’s conference, the Asian Patent Attorneys Association’s conference and the International Federation of Intellectual Property Attorneys’ conference. The firm is currently headed by Ms Goel and its other partners include Mohit Goel and Sidhant Goel. The firm comprises a team of 30 professionals. Backed by 40 years of experience and expertise, the IP rights team provides personalised, responsive, flexible and practical support in trademarks, patents, copyright, designs, geographical indications, data protection and know how. The firm has a prominent IP litigation and prosecution practice established through our attorneys’ remarkable track record over the past two decades. We have secured our clients’ trust by successfully protecting and enhancing the value of their IP rights in India and other countries. The legal professionals at the firm litigate rigorously to protect clients’ interests in some very complicated situations. Several of the firm’s cases have been published as guiding precedents in various reporters and gazettes. On the prosecution side, the firm manages trademark, patent and copyright portfolios for clients, including government organisations. The firm also provides effective advice to start up entities, focusing on building value. The attorneys at the firm have frequently represented clients in trademark and patent oppositions, appeals and patent validity disputes, as well as related judicial reviews. The firm has rich experience in anti-counterfeiting enforcement through criminal prosecution, administrative actions and civil actions. For many years the firm’s attorneys have advised world-famous brands and leading content companies in dealing with complex counterfeiting and piracy problems. Within the firm’s IP team and through the firm’s international business and legal network, the firm has the resources to advise you on IP law and to protect your intellectual property, regardless of its origin. The attorneys of the firm are frequently asked to advise on cross-border licensing. We have expertise in advising clients on how to resolve all technical and commercial complexities in the Indian business context.